Green tea is one of the most commonly consumed beverages in the world. It's revered in Asia for its health benefits and is a key component of traditional medicine. Green tea is also an integral part of society and culture. Whether you drink green tea with friends and family, curled up with a good book, or as part of a Japanese tea ceremony, you can rest assured you're supporting overall health. 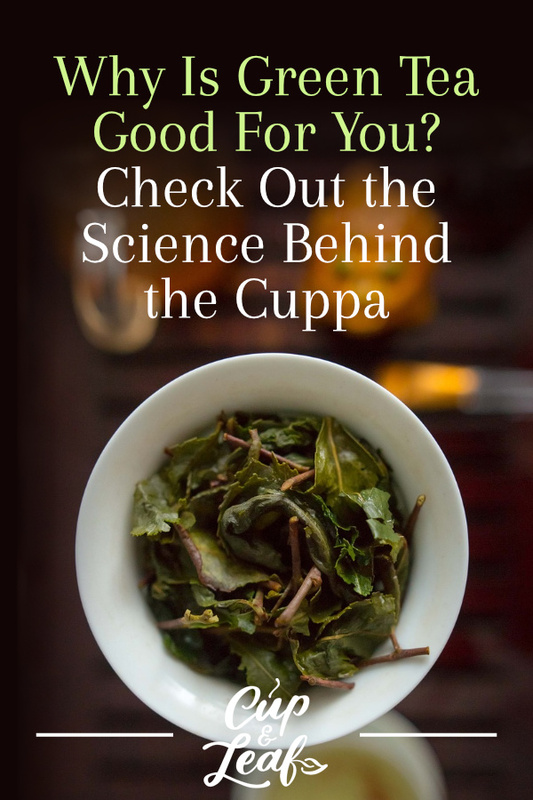 While it's common knowledge that green tea is good for health, you may not know exactly why. Green tea contains several healthy compounds that make this tonic as good for you as it is tasty. Antioxidants, vitamins, and small amounts of caffeine all contribute to the healthy nature of this beverage. Dive into the world of green tea and find out why this delicious beverage is good for your health. Green tea is derived from the leaves of the tea plant known as Camellia sinensis. Green tea comes from the same plant that produces black tea, oolong tea, and white tea. It is a true tea that is distinguished by its mild production process. Green tea leaves are harvested from the tea plant before being withered and dried. Green tea is not oxidized and maintains its natural green color. There are two main categories of green tea: Japanese green teas and Chinese green teas. Japanese green teas are steamed during the drying process. The types of green tea tend to taste sweeter and more vegetal than their Chinese counterparts. One of the most famous Japanese green teas is matcha tea. This type of green tea is made by grinding the tea leaves into a fine powder. It is popularly consumed in the Japanese tea ceremony and as a matcha latte in the western world. 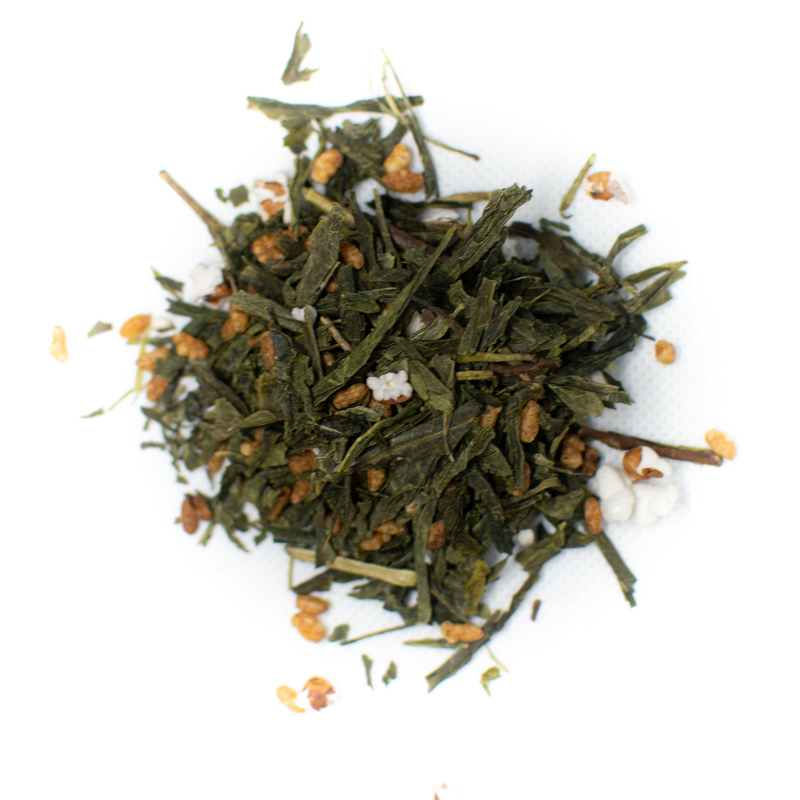 Another popular Japanese green tea is known as Genmaicha, which is a blend of green tea leaves and roasted rice kernels. 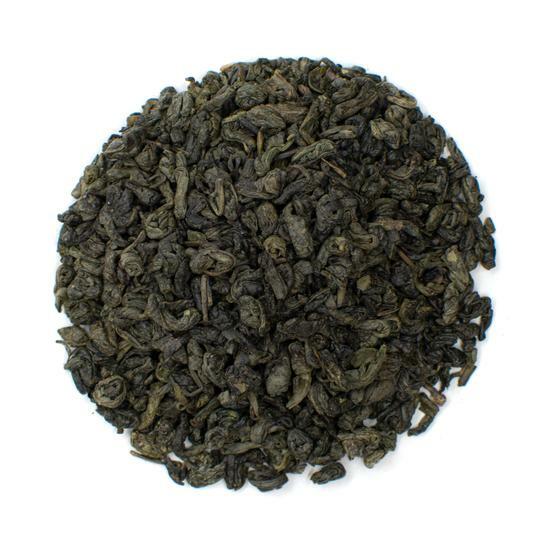 Chinese green teas are dried by pan-frying or roasting. 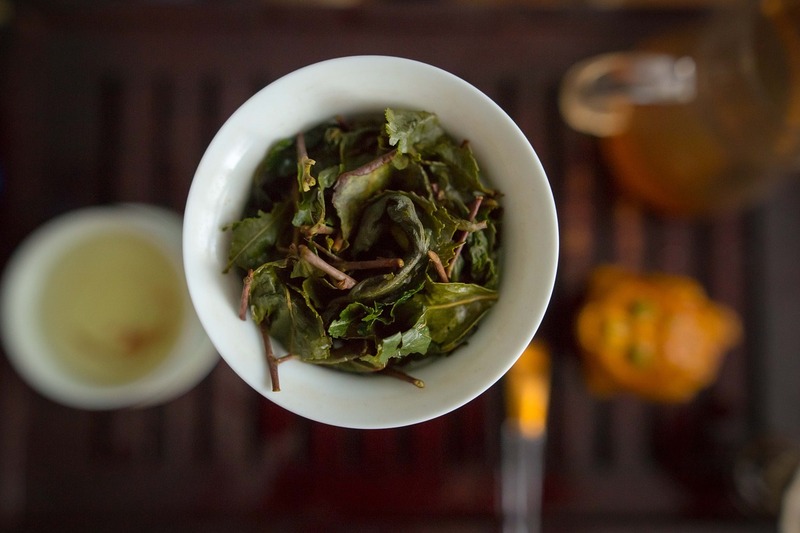 Chinese green teas tend to be stronger and bolder than Japanese varieties. They also feature more smoky, toasted, and earthy flavors. 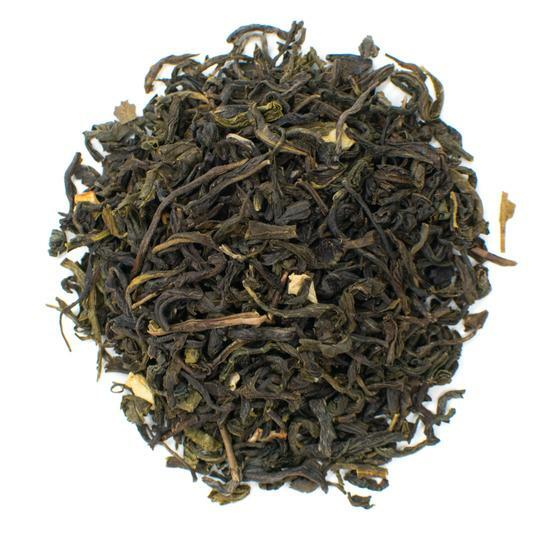 Sencha Fuji green teas are some of the finest varieties of Chinese green teas. Formosa Gunpowder tea is another favorite and is characterized by its small pellet shape that mimics the look of gunpowder. Drinking green tea can boost mental acuity and improve focus. Green contains a small amount of caffeine and high levels of an amino acid known as L-theanine. Caffeine is a known simulant that helps to boost energy levels and increase alertness. Caffeine inhibits adenosine—a neurotransmitter in the brain. This increases the release of other neurotransmitters including dopamine and serotonin, which are known to increase energy (1). Green tea also contains L-theanine, which provides a smoother delivery of caffeine. L-theanine increases alpha waves in the brain that helps to boost energy. L-theanine is found mainly in tea and other plants that are part of the Ericales family. This amino acid delivers an even energy boost that doesn't have the jittery effects of coffee. L-theanine also works to directly slow the release of caffeine, eliminating the dramatic ups and downs associated with coffee consumption (2). Green tea is legendary when it comes to weight loss. Green tea extract is one of the main ingredients in weight loss pills. Green tea supplements are a staple in the weight loss industry and hundreds of studies have examined the effects of tea on weight management. Drinking green tea everyday can help you manage body weight and increase fat loss. Researchers analyzed the impacts of green tea on weight loss in a human trial published in the American Journal of Physiology. Researchers found that green tea increases body temperature and signals the body to turn fat stores to energy (3). These fat burning properties are mainly attributed to the presence of caffeine and antioxidants. The antioxidant known as EGCG or epigallocatechin gallate is particularly effective. EGCG works to speed up metabolic rate and triggers chemical changes that boost fat-burning processes. Another study published in the American Journal of Clinical Nutrition examined the effects of green tea on energy expenditure. The study consisted of 10 healthy men who were given green tea, caffeine, or a placebo three times per day. Results showed that green tea increased energy expenditure by 4 percent (4). A meta-analysis published by Georgia State University investigated the impact of green tea on exercise performance. Researchers found that green tea effectively increase physiological markers for endurance. Animal studies showed that mice that were given green tea showed lower levels of fatigue and increased exercise performance. More research is needed to establish these results conclusively in humans (5). Green tea has been shown to have a mild protective effect against various types of cancer in laboratory studies. Research has established these results for breast cancer, liver cancer, and prostate cancer. The National Cancer Institute lists a comprehensive breakdown of existing research on cancer and green tea. While more human studies are needed, the existing research shows that green tea antioxidants may prevent cancer (6). The active ingredient in green tea responsible for these health benefits is EGCG. Research on EGCG and cancer preventative properties dates back to 1983. A meta-analysis published in Molecules and Cells examined the results of these studies (7). One 10-year cohort study found that regular green tea consumption delayed the onset of cancer. A double-blind randomized phase II trial found that green tea prevented the recurrence of colorectal cancer. Another study showed that green tea induced cancer cell death and inhibition of tumor growth in mice with lung and skin cancer. Today, most cancer research is conducted on human stem cells with trials in the works for more advanced study. Another meta-analysis published in Breast Cancer Research and Treatment investigated the effects of green tea consumption on breast cancer. Researchers analyzed five databases of breast cancer studies published from 1998 and 2009. Researchers concluded that the people who consumed the largest amount of green tea had a 20 to 30 percent lower risk of breast cancer than those that didn't drink green tea (8). Tea drinkers who consume a few cups of green tea every day have a reduced risk of cardiovascular disease. Green tea boasts anti-inflammatory properties that help to improve blood flow in blood vessels. This is particularly beneficial for people who suffer from high blood pressure. Green tea also reduces inflammation that can cause blood cells to clump and result in blood clots. A study published in 2013 analyzed the impacts of green tea on heart disease risk. Researchers combed through four separate databases and analyzed 11 randomized controlled trials. The trials consisted of a total of 821 participants. Researchers found that green tea has short-term cardiovascular health benefits. They determined that not enough research has been done to conclude long-term results (9). Green tea helps to prevent heart diseases by lowering triglycerides and LDL cholesterol. Science has also established an inverse relationship between cardiovascular disease and mortality rates. People who drink higher amounts of green tea tend to have lower risk of cardiovascular disease (10). Green tea antioxidants help to eliminate harmful invaders that can cause serious illness. EGCG is the most prominent antioxidant and is particularly effective in eliminating free radicals. Free radicals increase oxidative damage and have been linked to premature aging, cancer, and neurological diseases. Free radicals are caused by environmental factors such as pollution as well as an unhealthy diet and excessive alcohol consumption. Drinking green tea flushes these free radicals from your body, helping to promote overall health. Drinking green tea regularly may help to prevent the onset of Alzheimer's disease and Parkinson's disease. These neurological diseases cause mental and physical decline in patients including dementia. Most existing research has been conducted on human cells in the lab and in animal studies. One study published in the Journal of Nutritional Biochemistry analyzed the impacts of green tea on neurological diseases. Researchers found that EGCG's antioxidant powers help to eliminate free radicals that can lead to dementia and cognitive decline (11). Another study published in Advances in Experimental and Medical Biology investigated the effects of EGCG on cognition. Researchers found that polyphenols in tea help to modulate signaling pathways in animal models. This provides evidence for the ability of tea to increase or trigger the release of chemicals such as dopamine (12). Researchers point to these results when arguing for the effectiveness of tea in treating Parkinson's disease, which is caused by a decreased production of dopamine. Type 2 diabetes affects close to 400 million people across the globe. Diabetes is caused by an inability of the body to tolerate or produce enough insulin. The result is high blood sugar levels that can have serious side effects including fatigue, headaches, and blurred vision. A scientific analysis published in the American Journal of Clinical Nutrition studied the impacts of green tea on insulin. Researchers looked at 17 separate trials consisting of 1,133 participants. Green tea significantly reduced fasting glucose and increased insulin sensitivity (13). A 2006 study also found that people who drank the most tea had a 42 percent decreased risk of developing Type 2 diabetes. The study examined 17,413 participants across 25 communities in Japan. All participants had no history of diabetes and were between the ages of 40 to 65. The results showed the greatest benefits for people who consumed six cups or more of green tea per day (14). Green tea is widely regarded as a healthy beverage. Green tea increases fat oxidation and speed up metabolism to aid weight loss. Antioxidants in green tea eliminate free radicals and can protect against serious neurological diseases and certain types of cancer. Regular green tea consumption may also help protect against type 2 diabetes and cardiovascular disease. Tea drinking is a delightful experience that blends enjoyment of tea culture, history, and flavor. Try green tea from China and Japan to discover the flavor you love the best. You’re sure to find a sweet, grassy taste or a robust, earthy aroma that tickles your senses. Brew a delicious cup of green tea and sip to your health.